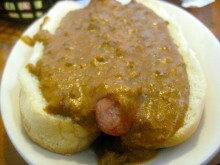 And this be the Coney Dog. Lulu’s is a relative newcomer on the Coney scene. If my memory serves me, it’s only been around for the past 5 years or so and the Walled Lake location is the only location. But just like all Coneys that have come before it, they serve a mix of Greek, American, and my favorite Coney specialties, the Loose Burger and the Coney Dog. The Loose Burger is a ground beef that never made its way into a patty. Instead, it has been loosely tossed into a hot dog bun. 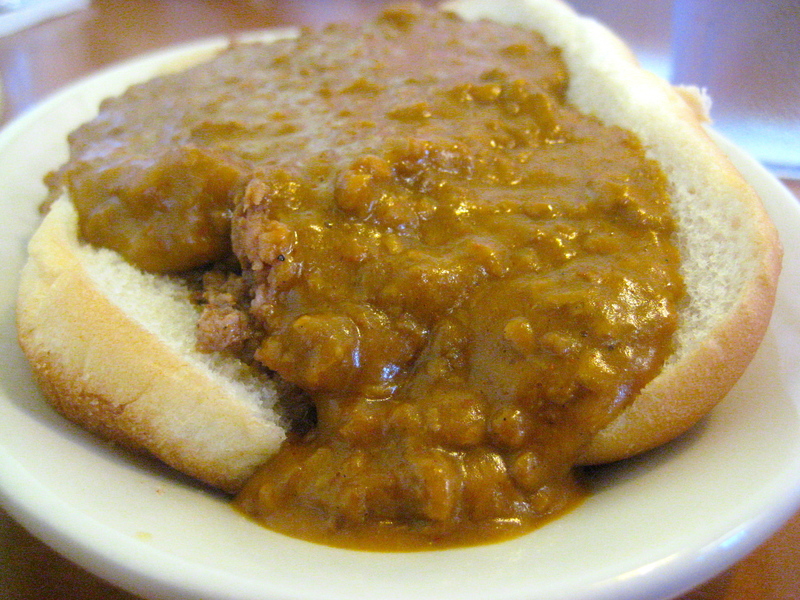 Then, just like the Coney Dog, it is topped with Detroit-style chili. This runny, flavorful and beanless chili can only be found in Detroit (to my knowledge) and is some of the best on earth. It’s so good that even though my weekend in Michigan was 85 degrees and about 85% humidity, my craving for Detroit-style chili did not subside. Some like to eat their dogs and loose burgers with onions and mustard on top, but I like mine just the way nature intended. Just chili, meat and bun. These beauties, if prepared right, can’t be eaten by hand. Instead, they require a fork, knife and a few napkins. 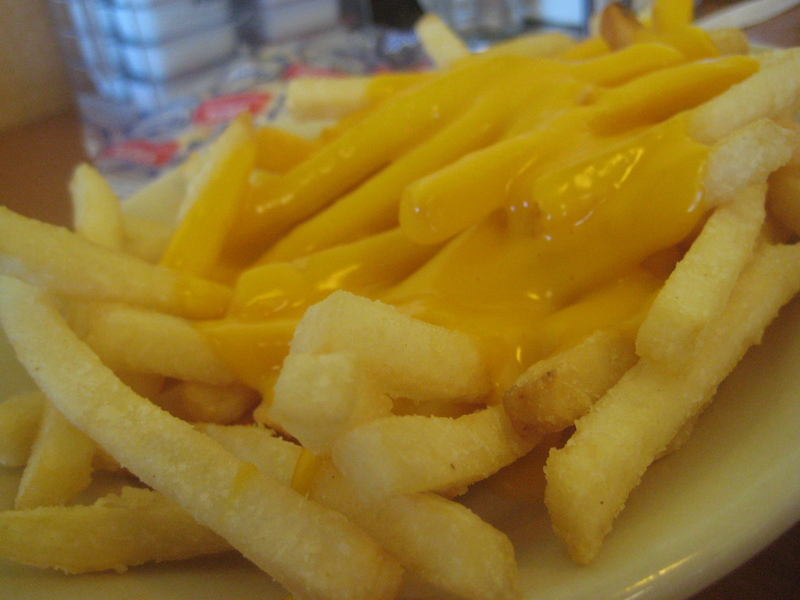 Yes, I’d like some cheese on those fries. 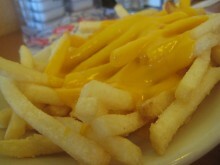 On top of those, I like to get a side of cheese fries. These do a great job of rounding out a deliciously meaty meal.Â Another thing that distinguishes Coneys from other restaurants are their unbeatable prices. A Coney Dog runs about 2 bucks, a Loose Burger is about $3 and the cheese fries are are $2.50. Great prices, great food and a taste you can’t find outside of Michigan make Coney Islands a necessary stop for any traveler to the area. Lulu’s is no exception to that rule. I hope you all die extremely early of painful heart attacks! That’s not very nice. I wish you nothing but the best in life. I agree, and I haven’t eaten meat of any kind since ’88. It was completely obnoxious and ill-mannered. We’re not all like that. Even after all these years, I miss Detroit chili but I think I ran across an authentic recipe I’ll try to adapt for vegetarian enjoyment. Perhaps this is the route Cara should be taking instead of wishing ill on others.